Drones are one of such technological advancements that have benefitted human life in a vast number of ways. 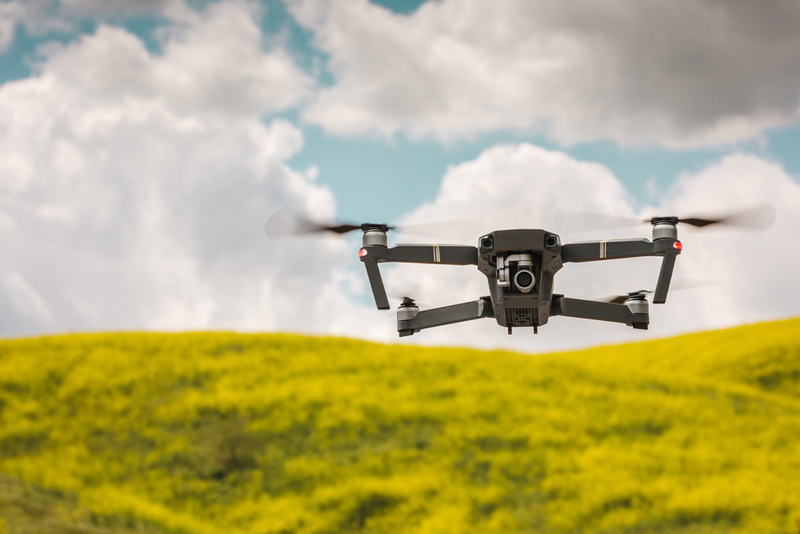 Drones are unmanned aerial devices that are used for delivery purposes, security factors, military, and arms advantage as well as transportation purposes and multiple others. 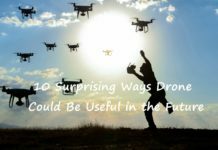 Drones are flourishing as an important gadget for the general population as well, and many people want to buy them for various reasons. 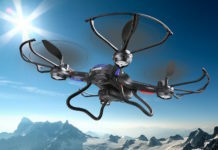 Drones are not a very clear and prevalent subject for a significant part of the world populace. 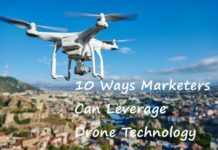 To get a drone for utilizing one of its benefits in your daily life, you should be well aware of your options available. 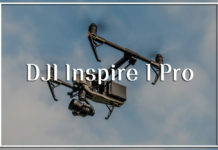 DJI is a Chinese technology company that manufactures high-quality drones for the varied purposes that drones can help in like military use, surveillance, delivery, filming, and others. 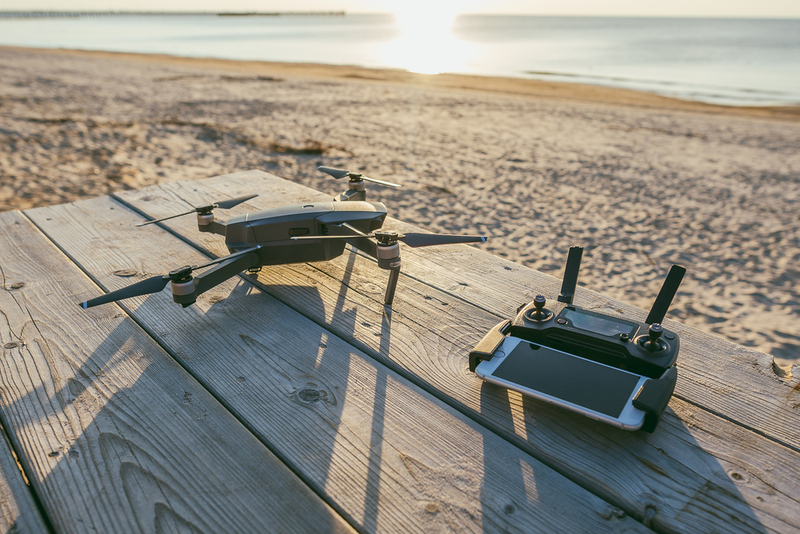 The two of the classic form of drones that are beneficial for non-military use of drones predominantly for daily life uses are the DJI Spark and the DJI Mavic drones. 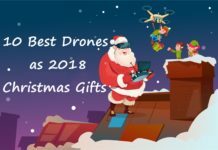 They have become very popular, and the drone market was all about DJI Spark vs Mavic drones. 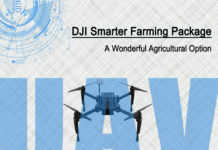 DJI is the leader in the market of user-friendly drones for non-military purposes. 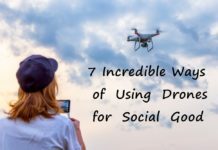 These drones help you with your creativity function and push you to discover more in yourself. The Spark series and the Mavic series of the company are the most popular for adventure vlogs and filming purposes. These drones from DJI have a straightforward and user-friendly approach to the controlling system. 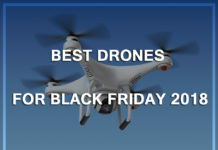 The launch of the drones from this company is relatively pretty quick and faster than other competitions in the market. They also have features of folding and enhancing the portability factor of the drones in a number of their different drone models. They have many smart functioning features and have a good enough flight time that is round about a little less than an hour. The drones from DJI are pretty high quality and have super grade cameras. These cameras have a reasonable zooming capability as well as panoramic capturing facilities. 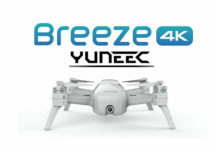 Drones from this company use camera that produce a 4K quality of image or video. The drones have a three-directional environment-sensing feature, enabling them to travel through the air on smart controlling. This feature also prevents them from crashing into or hitting any objects in their surroundings. 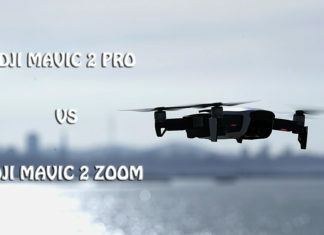 To know more about the two most popular drone series company, one needs to carefully check the DJI Spark vs Mavic specifications and then compare the two series. The Spark and the Mavic are the two most famous series that have popular drone models, which is a big hype among the drone craving people. The decision as to which is better can be deduced on through a DJI Spark vs Mavic drones’ comparison. These two series have some differences as they are usually built for separate purposes, for different sorts of customers and have distinct features that are different from one another’s. The DJI Spark vs Mavic drone series will give you details about their characteristics, facilities, uses, as well as price. 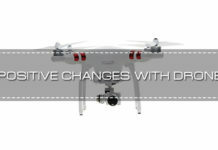 The DJI is a company that has taken the drone usage for a lifestyle change to another level. DJI Spark series makes a smaller pattern of drones that are effective as well as compact in shape, and function. They have hand gesture controlling system that enables you to fly around the drone just by moving your hand around. The drone analyzes your gestures through laser detection and scanning technologies. It has a 12-megapixel camera and is efficient for creative uses of this drone. 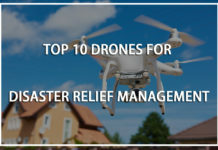 They have an obstacle-sensing feature that prevents the drone from crashing into any other obstacles in the surrounding area. They have fast launch control, and it flies up into the air through hand-controlled gesture almost immediately. It has an active tracker that helps you locate it in case of any mishaps. 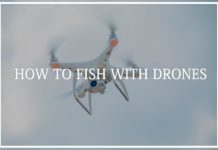 The picture clicking speed is impressive, in other words, the shutter speed of the drone camera is considerably high, and that helps you pick up photos of this in motion as well in a precise definition quality. The quick shot feature of this series helps the user to capture any moment quickly in case the subject is not going to stay the same way for a longer time. On command, the drone picks up the photo and captures the moment. This series drones are not very big and are smaller in sizes that the drones from the Mavic series as you may see in the DJI Spark vs Mavic drone comparison. They are small, and as a result easily portable, however, they do not have the folding facility. The flight time of the drone at once goes to a maximum of 16 minutes and is reasonable for the drone taking into consideration it other factors and features. There are two different modes in this drone: the S-mode and the P-mode. The travel speed of the drone is different with different modes. In the s-mode these drones can travel up to 50kmph whereas, in the p-mode, the drone is slower and moves at a speed of about 21kmph. The quick fly feature is also helpful and efficient for the user, as the user needs to tap at the bottom of the drone for it to take off into the air immediately. The drone also has a tripod flying facility as well. The Spark series of the DJI drones can be controlled through a remote controller, which is the common way of managing a drone. Apart from that, the gesture function is an exclusive feature of the series of drones. It can be operated and controlled through smartphones as well. The front obstacle sensing proximity range is from 0.2 meters to 5 meters. The proximity range of the drone for it to be controlled by smart phone is about 100 meters. The picture resolution is also very good. The maximum video resolution is 1080 pixel, and the maximum image resolution is about 12 megapixels. The maximum transmission distance when free of any obstacle ranges between 300 and 2000 meters, depending on the type of remote controller used for the device. It is a lightweight drone weighing about 300grams, much less than the Mavic models. 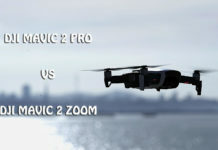 This can be checked by the DJI Spark vs Mavic comparison of the two series. The dimensions of the drone are 143×143 mm as per its length and width which means that it is a square in dimension and its height is 55 mm. The ascent and descent speed into the air when it is in the s-mode is 3 mps and 2mps, respectively. That of the drone in p-mode is much less about 2 mps and 1.5mps respectively. It can reach a max height of about 4000 meters above the sea level. The tilt angle of the drone also varies on the mode it is running on. The Spark series of drones can tilt at a maximum angle of 35 degrees and 15 degrees depending on the mode. The operating temperature range is also not very high considering its abilities and is between 0 to 40 degrees Celsius. A drawback for the Spark series is that they don’t have any internal storage memory, which is featured in the Mavic series. The stabilization is based on a 2-axis system for tilt and roll. Its maximum tilt speed is 120 degree per second. The obstacle sensing system in this drone series is also weaker, and it doesn’t provide the backward sensing facility. The camera quality is good with high-quality lenses with autofocus function only. The ISO range of the camera is 100-3200 for video and 100-1600 for images. The cameras can use an electronic shutter with a speed of about 2-1/8000 seconds. The image format is produced in jpeg, and that for video is mp4. The charger of this device has an input of about 100-240 volts, 50/60 hertz, and 0.5 amperes. The rated power for the drones is 15/18 watt. It requires a remote controller as it is the most reasonable option of control. The DJI Spark series of drones is a reasonable drone with a relatively lower price of 499 USD. 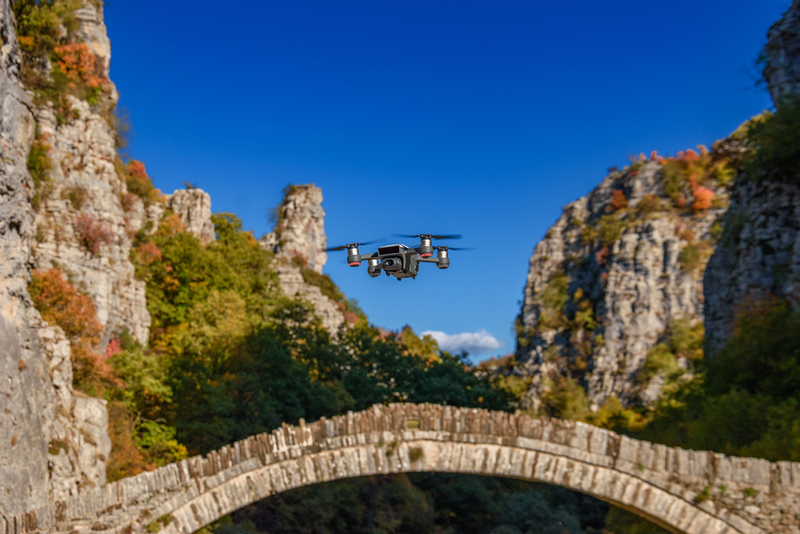 The Mavic series of the DJI drones are usually used for adventure purposes to capture the moment of the magical memories of the adventures that you want to keep forever. This series has three models, unlike the Spark series that has one model only. The Mavic series consists of Mavic Air, Mavic Pro, and Mavic Pro Platinum. These are relatively bigger and still portable. They can be easily portable because of a special feature that they have- the drones of this series are foldable and hence regardless of their bigger size they are still mobile. The camera quality is also good that produces a 4k quality of videos and images. It has a spherical panoramic camera with 32 megapixels of zoom. 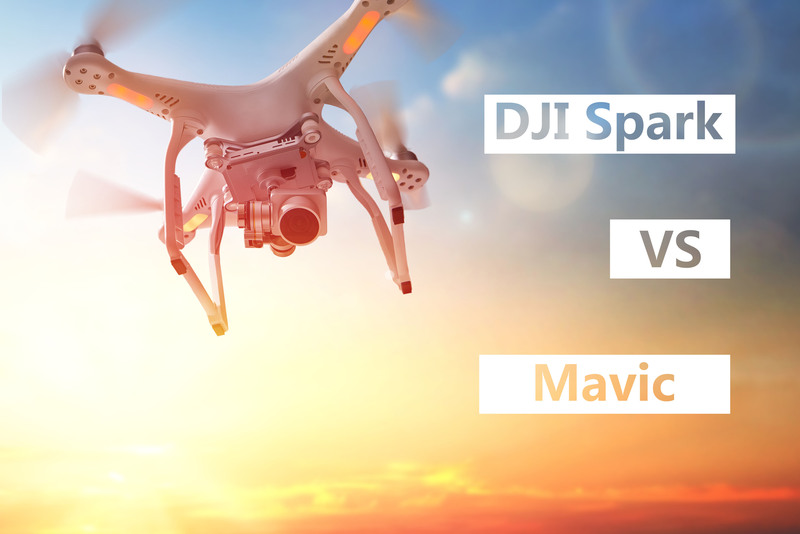 As you can see in DJI Spark vs Mavic drone comparison these drones have a better grade of environment sensing system and also provides backward sensing which is lacking in the Spark series of the company. The price of the drones in this series is higher though than the Spark model. 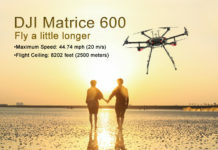 The models in the Mavic models range from 799 USD to even 1099 USD. 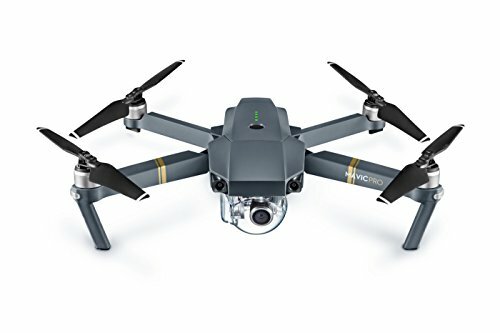 The best quality Mavic is the Mavic Pro Platinum, and the low-end drone from the Mavic series is the Mavic Air. It has a feature of providing 7 km video transmission. The photo format is raw, and it makes it easier for the user to edit the pictures as and when needed. The Mavic drones also have a quieter flight as the motors and technical engineering is more upgraded. The dimensions of the Mavics vary according to their models. 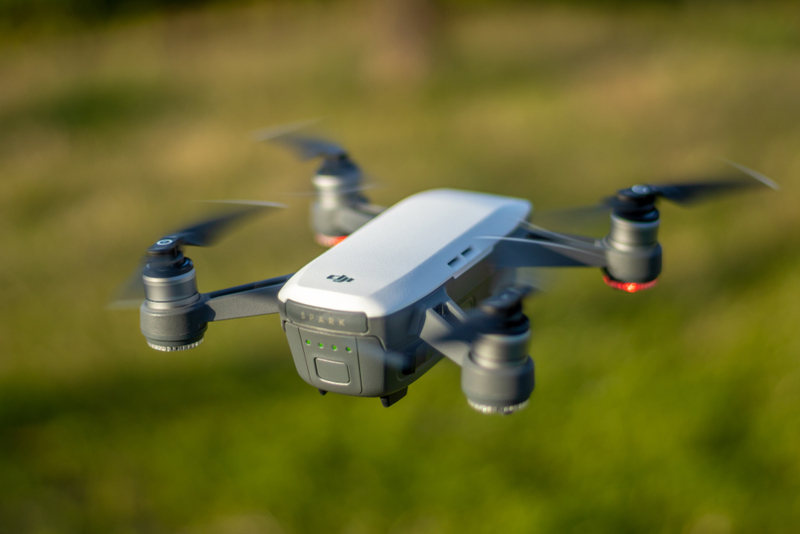 If you check the high-end model, the Mavic Pro Platinum, its dimensions are 305x 244 mm in length and width with 85mm height. These dimensions decrease significantly when it is folded. 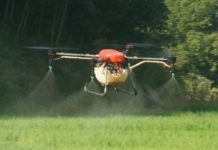 After the fold, the drone measures 198x83x83 mm through the length, width, and height respectively. The weight is also not relative to its dimensions and size. It weighs a mere 734 grams. The maximum flight time in the drone is about 30 minutes; this is a bit less for the other two models where the maximum flight time is about 21 minutes. The comparison of the DJI Spark vs Mavic shows how the Mavics are foldable but larger insize than the Spark model. The speed of the Mavics depend on the mode; however, they are faster than the Spark series model. The max speed in the s-mode is 65kmph and in the p-mode that gets to 36kmph. 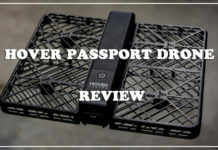 They also have the tap-fly feature of the quick fly system where you have to tap at the bottom of the drone, and it will take off and elevate into the air immediately. 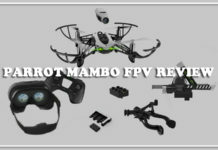 It has other intelligent flight features like active track, tripod mode, cinematic mode, and fixed-wing mode. The gesture mode that was present in the Spark series is also available in this series models too. The points of interest, home lock, and couse lock are among the other intelligent flight features that are unique in the Mavic series. 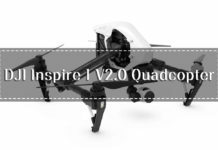 These drones have three axis mechanical gimbal and ½.3″ CMOS for the photography. The max video resolution is 4K at 30fps whereas, the max image resolution is about 12 MP. The Mavics have a better range of forwarding obstacle sensing which is between 0.7 to 15 meters. The Mavics can be controlled by two major ways, the remote control for sure and through smart mobile devices. The range in which the mobile device will respond within the proximity is about 80 meters, which is a little less than the Spark model. The remote controller works within 2.400 to 2.483 GHz. The takeoff weight of the Mavics is about 734 grams. Drones from the Mavic series can reach the maximum height above sea level at 5000 meters above the sea level. The drones can run continuously for about 21 minutes to half an hour is run at an optimum speed of 25 kmph. The maximum distance it can cover in flight is somewhere around 13 km. The maximum tilt angle during the s-mode is 35 degrees and that during p-mode is close to 25 degrees. The temperature range while working is near about 0 to 40 degrees Celsius. These Mavic drone models run on a triple axis for tilt, roll, and pan on the contrary to the Spark series model that worked on a double axis only for tilt and roll. The max tilt speed of the Mavics is the same as that of the Spark series, which is about 120 degrees per second. The cameras in the Mavics are of superior quality including ½.3′ CMOS with 12.35 MP sensors. The camera has manual as well as automatic focus options. The ISO range for photos is from 100 to 1600 whereas that of the video is between 100 and 3200. These also have the similar electronic shutter in the camera but have a higher shutter speed of 8-1/8000 seconds. 1) Camera This series has ½.3″ CMOS with 12 MP sensors. The video ISO is 100-3200, and photo ISO is 100-1600. The shutter is an electronic shutter with a shutter speed of 2-1/8000 seconds. The still image size is 3968×2976. The panorama is vertical, horizontal and 180 degrees Shallow Focus. The image format is in jpeg. It has ½.3” CMOS with 12.35 MP sensor. It has auto and manual focus options. The video shooting ISO is between 100-3200, whereas, the photo ISO is between 100-1600. The shutter speed is 8-1/8000 seconds. The still image size is 4000×3000. They provide 4k quality as well and provide raw image format for editing. 3) Flight Performance The max flight time is 16 minutes, and the max speeds are 50kmph in s-mode and 21kmph during p-mode. The max flight time in the Mavics range between 21 and 30 minutes. Their max speed depends as per the model; however, they are relatively faster. The obstacle sensing is available only on the anterior end. The range of which is around 0.2 meters to 5 meters. 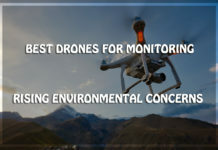 The drones from this series have a forward as well as backward obstacle sensing with a forward sensing range of 0.5 to 12 meters, and the posterior sensing range is between 0.5 to 10 meters. 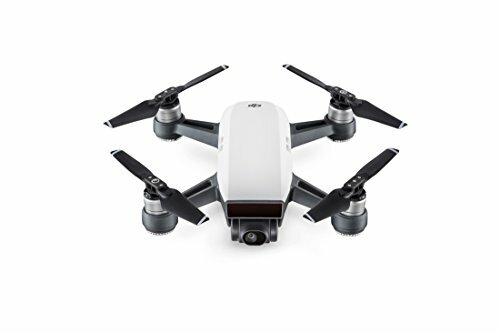 The company has their two series DJI Spark vs Mavic, and they both have different features. There are but few exclusive highlights in the Spark series. The features are more and better advanced in the models of the Mavic series. The price, however, is where the Spark wins as it has a price which less than half of the Mavic high-end model. The sizes are similar when Mavics are folded; however, the Spark series is more compact as a complete package. The Mavics have the better features and also a higher price. If you want a drone, with features similar to the low-end Mavic model and have a good price, then you should opt for the Spark series. Both the series have different highs and lows. The better drone is to be determined by you as per your needs and requirements. Previous articleHobby Drone Insurance – Do you Need Insurance for a Hobby Drone? 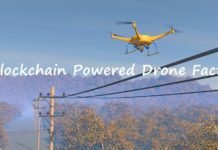 Next articleHow to Possess a Drone Certification and Find the Right Drone?